This week Budweiser and Jim Beam Bourbon will recognize and celebrate a historic day in America – Repeal Day – the official end of Prohibition. December 5th will mark the 85th anniversary of the Repeal of Prohibition, and the iconic brands, each with impressive Prohibition survival stories, are calling on drinkers 21+ to celebrate responsibly on this momentous day. On December 5th, Budweiser and Jim Beam are rallying the industry and the country for Repeal Day, from office-wide events to local bar takeovers. Budweiser will start with inviting employees to end the day early to celebrate, while both brands will encourage employees to toast their right to enjoy America’s two iconic beverages at 5:32 pm – the exact minute Repeal was ratified 85 years ago. The two brands will also host Prohibition-era celebrations across the country. People across New York City will enjoy Repeal Day alongside the iconic Budweiser Clydesdales as they march through the streets delivering beer just like they did in D.C. to deliver the first legal batch of beer post-Prohibition. The Budweiser Clydesdales were first gifted to August A. Busch Sr. from his sons to celebrate Repeal and serve as a reminder of the prosperous days the company enjoyed prior to prohibition. Budweiser will also deploy Out of Home displays across the country, inviting fellow brewers in the industry to join in the Repeal Day celebration, while also calling upon beer drinkers everywhere to wear red bow tie as they enjoy their right to drink on December 5th. Jim Beam, a brand that dates back to 1795 but paused production during Prohibition, will commemorate the holiday with a range of retail programming including speakeasy parties across the country. The World’s most valuable beer brand and the World’s No. 1 bourbon brand share impressive histories of persevering through Prohibition while they were unable to produce their signature products. Both brands have thrived in the decades since Repeal; and earlier this year, Budweiser Brewmasters and Jim Beam’s 7th Generation Master Distiller Fred Noe came together to create a first-ever collaboration brew, Budweiser Reserve Copper Lager, to celebrate the Repeal of Prohibition. Copper Lager, the third installment in Budweiser’s successful Reserve Collection, is on shelves now and the drink of choice for this occasion. To learn more about Repeal Day and Budweiser Reserve Copper Lager, visit Budweiser and Jim Beam. 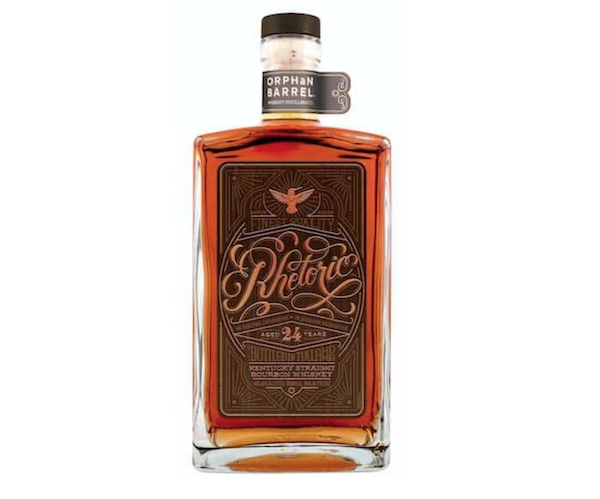 Rhetoric 25-Year-Old is the latest release from the Orphan Barrel Whiskey Distilling Company – a beautiful Kentucky straight bourbon whiskey aged for 25 years. Aged five years longer than the first release, Rhetoric 20-Year-Old, it is slightly more mature and carries a higher proof. The Rhetoric series has been progressively aged and re-released annually at a year older, allowing whiskey aficionados to collect the series and compare the whiskeys side-by-side. An intricate gold label features a hummingbird rising above chaos and confusion to find clarity and reason. The background, reminiscent of the oak barrels in which the whiskey aged, has grown deeper in color as Rhetoric is released each year. Rhetoric stocks were found in the old Stitzel-Weller Warehouses in Louisville, Ky. The whiskey was distilled (between 1990- 1993) at the Bernheim Distillery historically located at 17th and Breckenridge in Louisville, Ky., while owned and operated by United Distillers. The whiskey is hand-bottled in Tullahoma, Tenn.
Aroma rich in oak and vanilla notes with hints of dried fruit, cherries and allspice. Palette is oak-forward with notes of nutmeg, caramel, and cocoa, and gives way to a warming and slightly spicy finish. Have you started thinking about your New Year’s resolutions yet? Are you looking to be better with your finances? With the holidays your wallet will feel like it is always giving rather than receiving. Well to help you out now rather than later Prudential has created LINK. LINK aims to provide consumers with the convenience of an online platform while still having access to experienced financial advisors. By combining an easy-to-use website with personalized advice, they have created a unique money managing experience unlike many on the market. 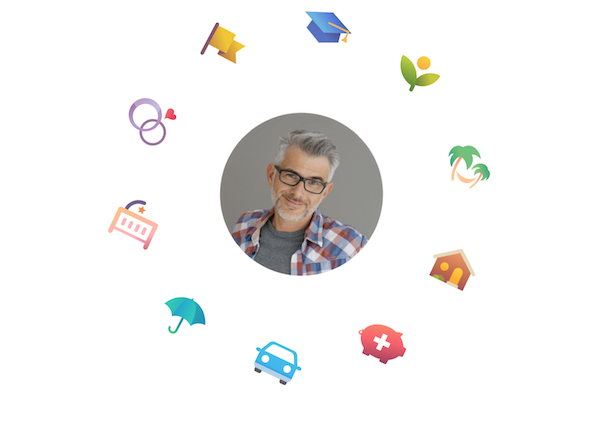 LINK by Prudential is a personalized experience that learns about what’s important to you and connects you with solutions and financial professionals to help you achieve your goals. No matter what changes come your way. LINK is flexible, giving you guidance throughout your financial journey. LINK rebalances, just as life does. With Thanksgiving just a few days away, Turkey Trots have become as synonymous with Thanksgiving as the turkey itself. On a day like Thanksgiving, an average American will consume upwards of 4,500 calories so Michelob ULTRA wanted to offer an incentive to get fit before the feast. With only 95 calories and 2.6 carbs, Michelob ULTRA is a longtime supporter of those who live an active lifestyle. So this holiday, Michelob ULTRA is providing an added incentive to get fit before the feast by rewarding Turkey Trotters across the country with beer. 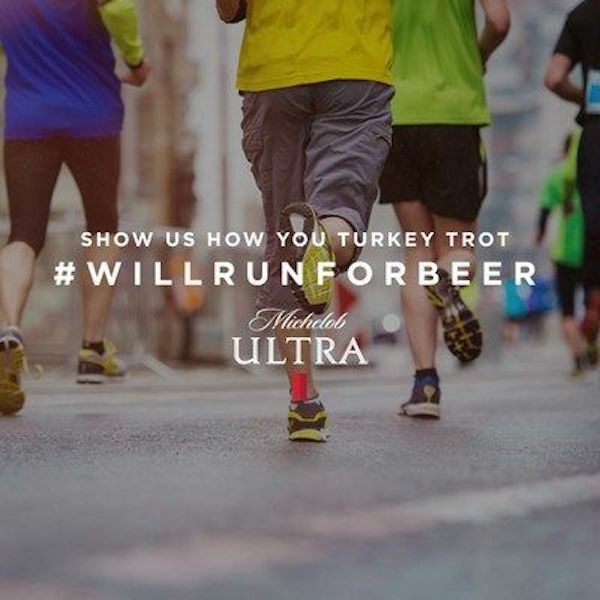 All runners (21+ in participating markets) need to do is follow @MichelobULTRA and share a photo from their Turkey Trot using #WillRunForBeer and tagging @MichelobULTRA – and the beer’s on ULTRA! Runners will receive a Drizly code to redeem. With the holiday shopping season fully underway, Captain Morgan is introducing some fun gifts for everyone on your list. Starting today, the rum brand’s holiday apparel partner Tipsy Elves is selling everything from ugly sweaters to onesies to leggings – and even a tandem sweater perfect for couples or best friends. 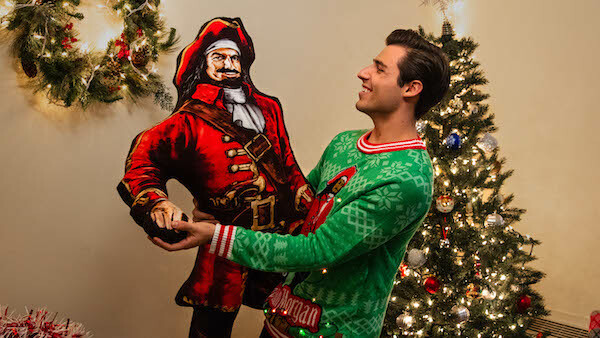 On Cyber Monday (11/26), the official Captain Morgan Body Pillow (5’ tall, 26” wide) will go on sale for the limited-time price of $20.18 on the Captain Morgan online merch store: www.CaptainMorganStore.com. Following the flash sale, the body pillow will remain on sale (pending inventory) for the regular price of $34.99. So are you ready to go all in on holiday shopping with Captain Morgan? If you know someone on your list loves the Captain Morgan brand you might want to check out these great holiday deals. Nothing brings people together like the holidays. 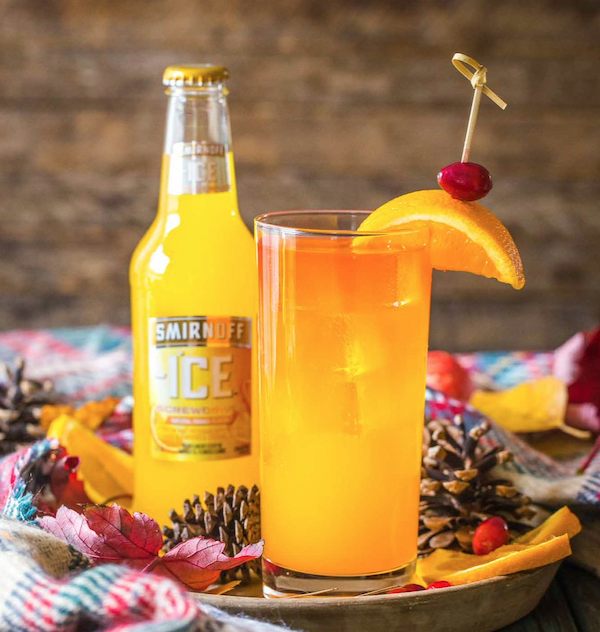 Thanksgiving is right around the corner and Smirnoff Ice wants to help you dial up the fun at any gathering. Whether your are celebrating ‘Friendsgiving’ with your crew, traveling to spend some much needed time with your family or celebrating your annual turkey bowl victory, the Cranberry Screwdriver is the perfect simple drink for any occasion. For those of us who would rather skip fall and get straight to winter fun, the Cranberry Lime Vodka Mojito is the ideal cold weather drink. This bubbly and refreshingly tasting cocktail is a great fun and festive treat when you’re saying hello to winter but not quite ready to say goodbye to your favorite spiked seltzer. Pour Smirnoff Ice Screwdriver into a high ball glass and slowly pour cranberry juice on top as a floater. First, muddle mint and lime wedge into the bottom of a high ball glass. Then, add simple syrup followed by ice. Next, pour in cranberry juice and top off with Smirnoff Spiked Sparkling Seltzer Cranberry Lime. Finally, Garnish with fresh lime wedges, cranberries and mint leaves. Bulleit Bourbon is a go-to staple for whiskey lovers year-round, with its high-rye content creating the perfect base in cocktails while also being smooth enough to enjoy neat or on the rocks. Whether a stocking stuffer or hostess gift, elevate your friend’s and family’s bourbon collection this holiday season with a bottle of Bulleit Bourbon 10-Year-Old or Bulleit Bourbon Barrel Strength. And for the ultimate Bulleit Bourbon fan, there is an online store with merchandise such as barware and apparel. Holiday favorites include the special edition Lewis bag that can be used to crush ice, and the Old Fashioned & the BLT in-flight cocktail kits for those traveling home for the holidays. This is one bottle you may want to keep for yourself if you get the chance. However, in the spirit of the season, gift this premium offering to a loved one who truly appreciates a fine glass of whiskey. Winner of a Gold Medal at the 2018 San Francisco World Spirits Competition, Bulleit Bourbon 10-Year-Old is one of the finer aged whiskeys you’ll find at this price point. Aged for a minimum of 10 years in charred American white oak barrels, each sip gives the gift of toasty oak with hints of light vanilla, off-dry spice with notes of fried fruit and a smooth and mellow finish. Awarded a Double Gold Medal and named the Best Straight Bourbon in the 2018 San Francisco Spirits Awards, Bulleit Bourbon Barrel Strength allows fans to taste Bulleit Bourbon straight out of the barrel, uncut and non-chill filtered. 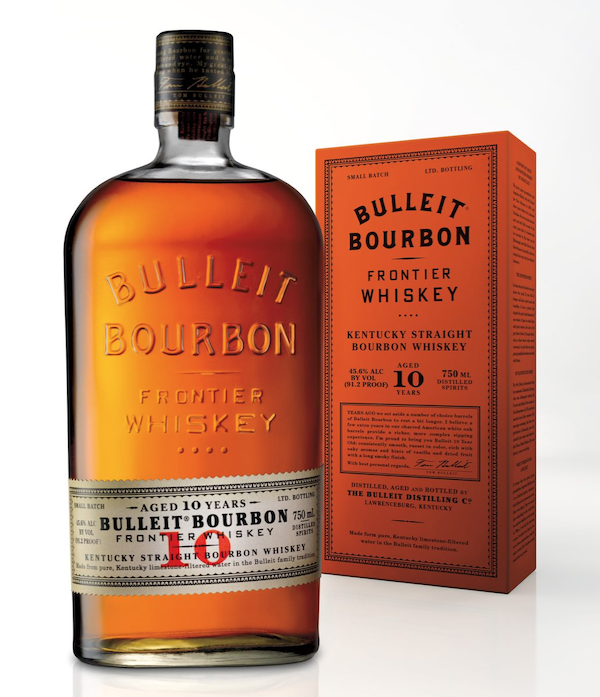 As the newest addition to the Bulleit family, Bulleit Bourbon Barrel Strength expanded nationally within the past year. Gift this exceptional whiskey to aficionados looking for an intense, yet smooth, flavor experience with tones of maple, oak and nutmeg on the palate, and a long, satiny finish. Traditionally used to crush ice for Mint Juleps, this canvas bag also doubles as a beautiful bottle wrap for holiday gifting. Perfect for holiday travelers, the Carry On Cocktail Kit includes a recipe card, ingredients, barware and a linen coaster. 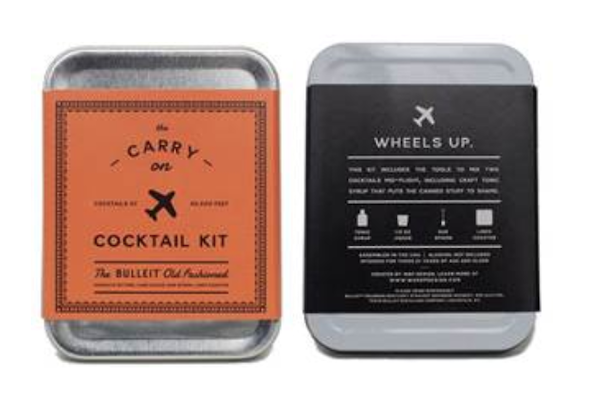 The Carry On Cocktail Kit was created in partnership with W&P Design, and is available for the Bulleit Old Fashioned & the Bulleit, Lemon, Tonic (BLT). Each kit makes two drinks. If you are looking to up your sneaker game then you might want to see what ASICS is brewing. They are are starting up a new campaign called I MOVE ME. They are teaming up with amazing storytellers. Details on the new campaign are below, but before that I wanted to share some news on one of the sneakers from that line. It is the Gel-Saga in that ASICSTIGER line. 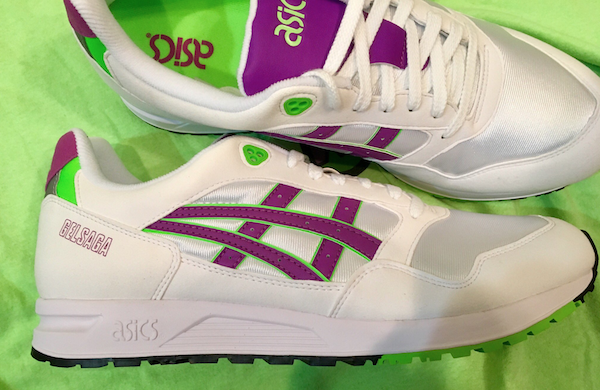 The colorway for this version of the Gel-Saga is white and orchid and is so clean. It has the right amount of purple and green highlights that make the shoe come alive. As a sneakerhead I immediately thought of some shirts that would matchup perfectly with these vibrant kicks. 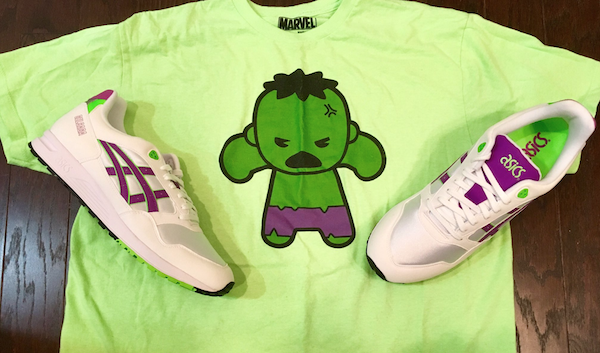 I have a Hulk shirt that is a great match for these sneakers. If your style is like mine that takes geek style shirts with slick kicks you might not only think about Hulk shirts, but The Joker themed shirts as well. You want to not just look good, but feel good too! With the Gel-Saga sneakers you will do just that. You will stand out from the crowd style wise, but be able to keep up with the crowd when you are seeing where the world takes you. I love when you can rock a great pair of kicks and feel like you are walking on a cloud. The Gel-Sage was part of that jogging craze from the 80’s that moved right on into the 90’s, as ASICS introduced the Gel-Saga model to tailor towards the casual performance trend. Its name stems from the Norse mythology goddess Saga, which translates to the concept of wisdom and its relation to the advanced technical features and aesthetics of the heritage runner. The shoe remains a classic in the ASICSTIGER heritage line. It features a molded midsole and insole for extreme comfort and cushioning, a lightweight mesh upper for ultimate breathability and a durable rubber outsole for enhanced traction and support. To pick these shoes up click here. 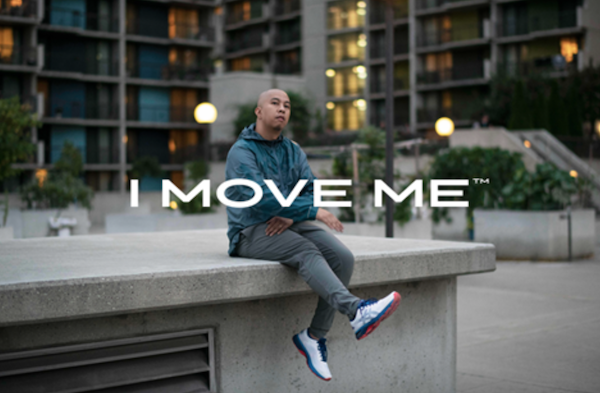 ASICS America Corporation, the true sport performance brand, today debuts the next chapter of the I MOVE ME campaign in North America, featuring two-time Grammy-nominated producer/DJ Steve Aoki and a new cast of storytellers from the worlds of music, sport, art and food. The new campaign builds upon its first iteration to explore the dynamic relationship between a sound mind and a sound body, the founding principal of the ASICS brand. The new cast join Steve Aoki, creator behind the I MOVE ME campaign’s first chapter, to explore movement from different viewpoints – featuring stories from the likes of musician and producer Illmind, ASICS sponsored track and field hurdler and decorated athlete Queen Harrison, celebrity chef Marc Forgione, and renowned mural artist ELLE Street Art. These storytellers will lend their voices to share how they use physical movement as a catalyst for creative expression. Each story will seek to inspire and empower people to choose their own path towards a healthy and active lifestyle. Additional influencers and ASICS athletes will also share their own personal stories of finding inspiration through movement – including outdoor adventure photographer Mina Young Lee, actor and martial artist Marrese Crump, fitness guru Erin Bailey, landscape photographer Meeshuno and artist Dylan Gebbia-Richards. ASICS Athletes will also participate in the campaign, including professional athletes and record holders Deena Kastor and Lolo Jones, decorated runners Sara Hall and Candace Hill and junior tennis champion Claire Liu. The robust digital and social activation with long and short-form video assets will live on ASICS-owned and partner channels. It will highlight social media content from featured storytellers and paid media partnerships with Pitchfork, Live Nation, GQ Fitness, Healthyish, SELF and WIRED. The campaign was created and executed by United Entertainment Group in New York City, and directed by Honor Society director Ariel Danziger, who drives the fusion of culture and sport through kinetic, music-driven narratives. It almost that time of the year where we all get to celebrate with friends and family. The season of cheer and joy is quickly approaching, and this means fun holiday parties. And what would a holiday party be without some cocktails? Below are a few delicious, fun and festive cocktail recipes that are a perfect fit for all holiday entertaining occasions. 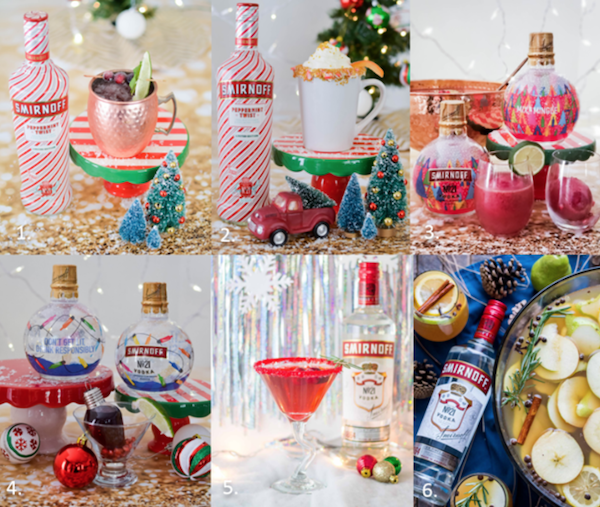 Made with Smirnoff’s holiday favorite, Smirnoff Peppermint Twist, the classic Smirnoff No. 21and the *NEW* limited-edition Smirnoff No. 21 Holiday Ornament Bottles. These cocktail recipes are sure to be a hit at all celebrations. The best part? They won’t break the bank! In a cocktail shaker, combine Smirnoff Peppermint Twist and cranberry juice with ice. Shake. Fill a copper mug with ice, pour the vodka & juice over the ice. Top with ginger beer. Garnish with sugar coated cranberries and mint. Combine hot chocolate, triple sec, and Smirnoff Peppermint Twist in a mug. Stir, and serve with a candy cane. Garnish with a candied orange peel. Rim a martini glass with water and dip into edible glitter. In a cocktail shaker, add ice, Smirnoff No. 21 Vodka, orange liqueur and cranberry pomegranate juice. Shake until chilled. Pour into martini glass and garnish with cranberries. Into a punch bowl, add sliced apples, pears and lemon. Pour in apple cider, Smirnoff No. 21 Vodka and lemon juice. Garnish with cinnamon sticks, clove and fresh rosemary springs. Stir to combine and chill until ready to serve. Right before serving, add in 1 liter ginger ale. For nearly a decade, Crown Royal has shipped its iconic purple bags filled with essentials to service members overseas. This year, the whisky brand will expand its efforts with The Crown Royal Purple Bag Project, its largest generosity commitment, inspiring people to give generously one bag at a time. 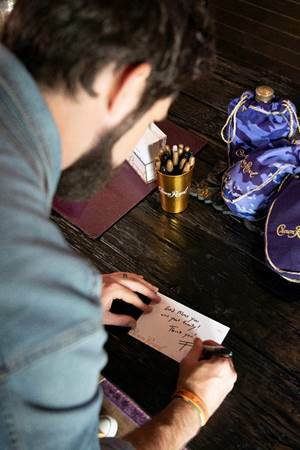 Crown Royal is joining forces with country music superstar Thomas Rhett to distribute 1 million care packages to active duty service members and those affected by natural disasters by 2020. 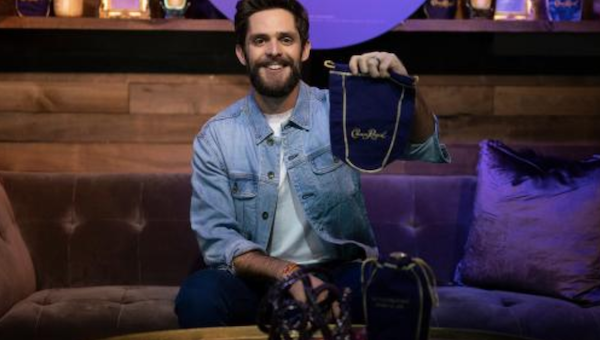 Crown Royal and Thomas Rhett will be hosting the ultimate volunteer takeover in downtown Nashville at the Bridgestone Arena Plaza ahead of the CMAs on Tuesday, November 13, to pack iconic purple bags for active service members overseas leading into the holiday season. All care packages will include handwritten notes, food and personal care items, and will be donated to Crown Royal’s long-time partner Packages from Home, a 501(c)(3) non-profit organization dedicated to serving U.S. troops overseas and homeless or at-risk veterans by providing them with requested morale-boosting care packages.